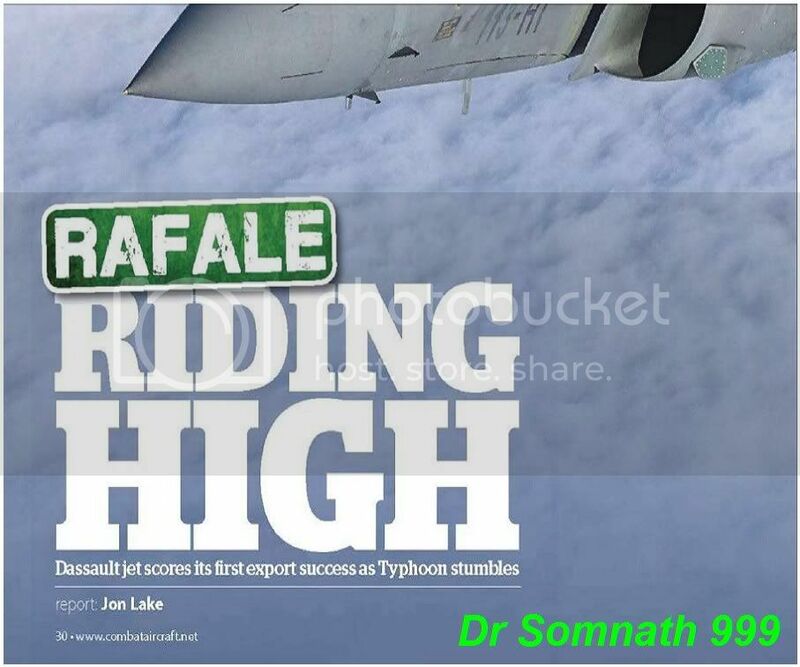 Discussion in 'Indian Air Force' started by DrSomnath999, Apr 14, 2012. 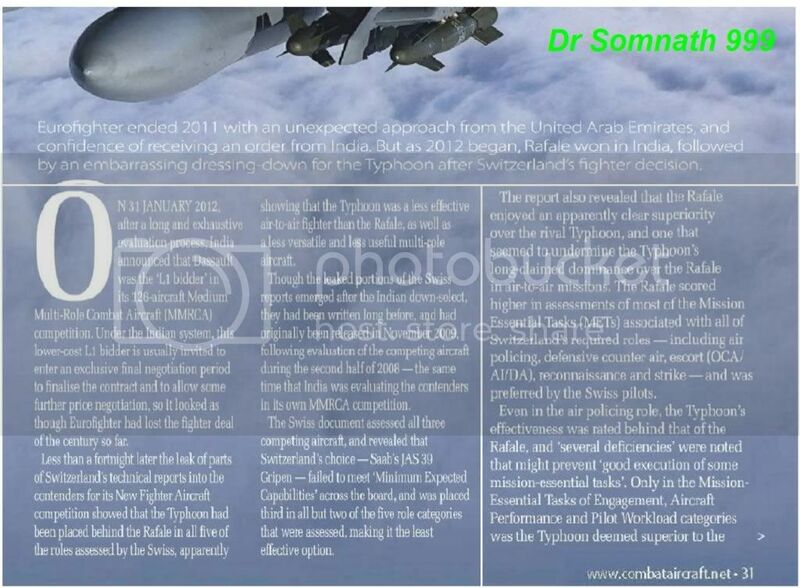 & HAD WON THE 2008 BOEING IDS AWARD FOR THE BEST DEFENCE SUBMISSION IN THE AVIATION JOURNALIST OF THE YEAR AWARDS. 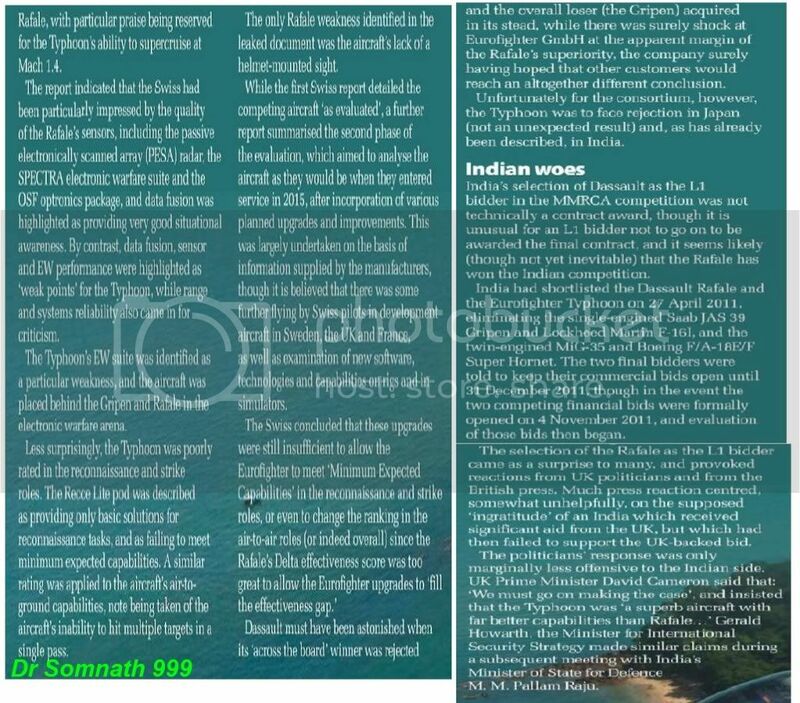 Sorry guys i cant post the source of the magazine where i downloaded it to respect copyright.But this article is surely a big slap on the face of all RAFALE haters as the article is posted by a author who is himself a big critic of rafale. 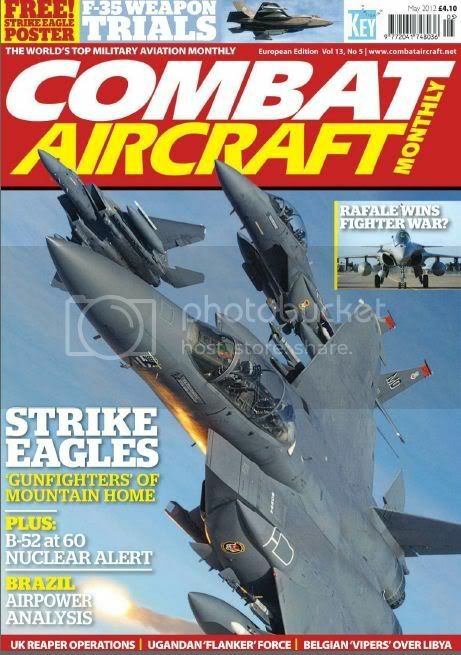 good articles around the world and give them to us fanboys at IDF/an' other forums free of cost! Keep it up! Great find! Keep it up up up!! have also played a role in change of mind. 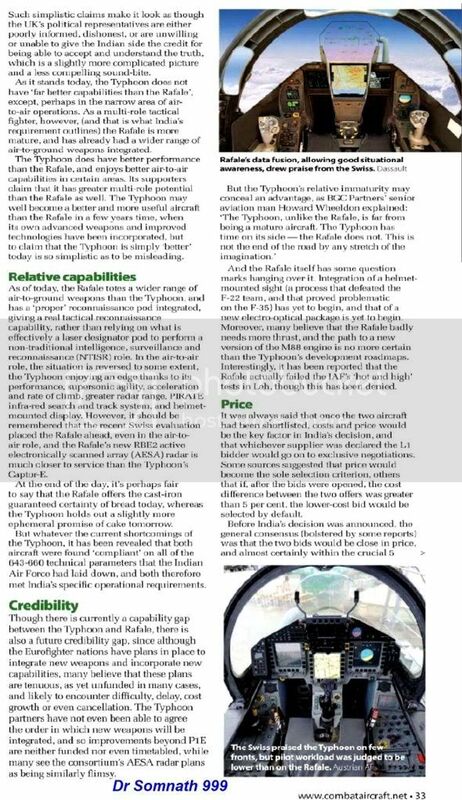 I only skimmed it, but it seems he basically said that Typhoon is immature and that Rafale's lower cost was, aside from higher system maturity and politics, deciding factor. He too has morphed into Rafale-supporter now, hasn't he? Rafale has got so popular nowdays. There is Congress...there is BJP...and then there is only Rafale. Not just praiser. It become the showstopper of fighters. France should thanks us for such goodwill. I doubt if that will stop them from selling downgraded SPECTRA and RBE2. 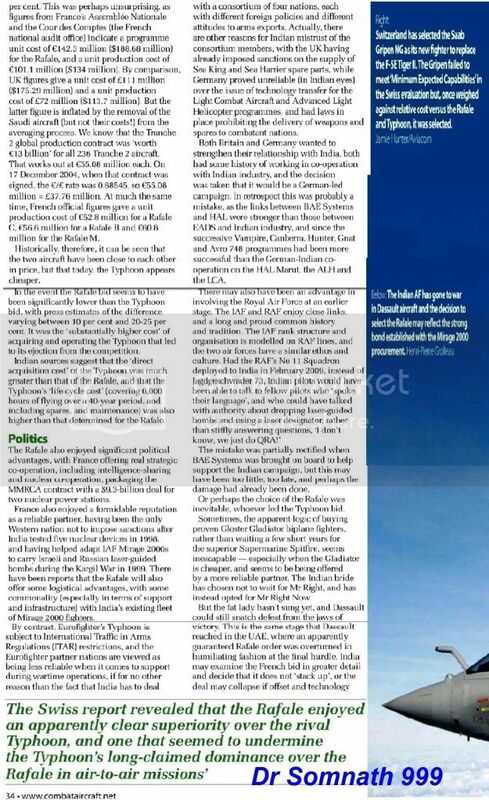 hmmm...something more revving would be they called off $1.6 billion worth deal with pak for JFT avionics/missiles..
and some $$$ when required would ensure that the IAF gets more than what it wants. 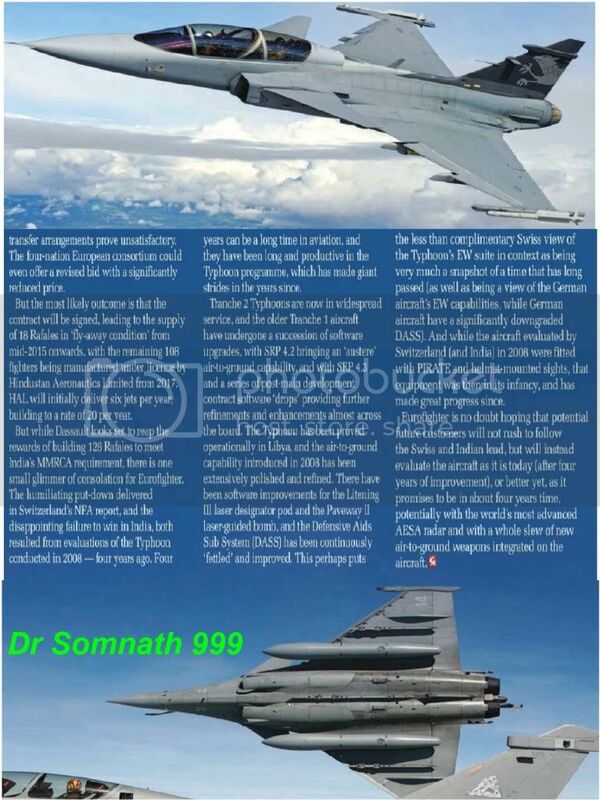 Drdo tech focus june 2011....must watch !!! !